Upon visiting the Galleria last week, I was surprised to learn of two recent closings. One of them I saw coming from a mile away which was of course Best Buy Mobile. The stores, which were more similar in fashion to a cell phone retailer, than a real Best Buy. I had tried shopping here a few times, and never had an exceedingly pleasantly experience. Best Buy announced the closure of all BB Mobile locations back in May of 2018. I did not see the store have a clearance or going out of business sale. The exterior has been left untouched so far, although black covering was added to the doors and windows. It’s likely in this case, that there’s either not a tenant lined up just yet or Best Buy Mobile still has a lease which has yet to end. 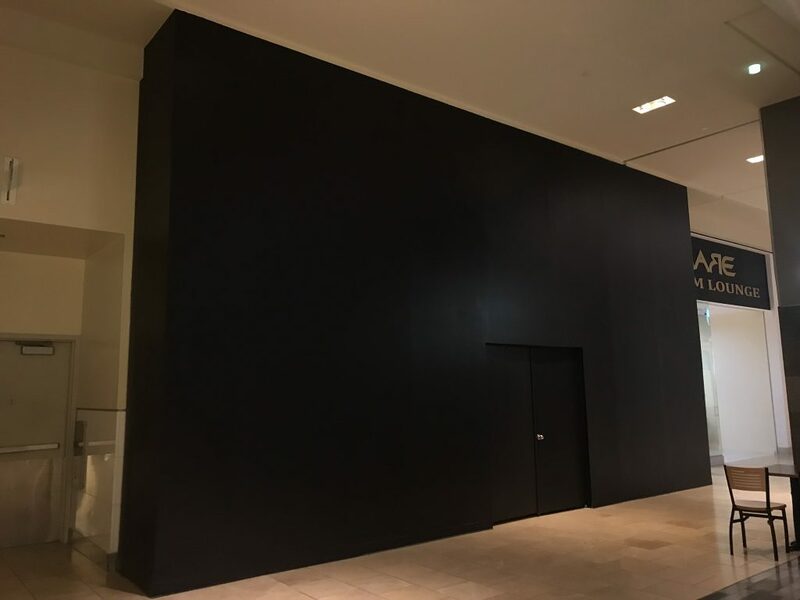 The next closure in Galleria IV, came a more of a surprise. It was the former studio of KPRC-TV (Channel 2)’s “Houston Life”. The show which is still on the air, has moved to another location, but that’s a story for Mike McGuff to tell. I wanted to include one final shot to show where the studio was located. It was shoved under the escalators next to Nordstrom. It was directly sandwiched by the ebar.